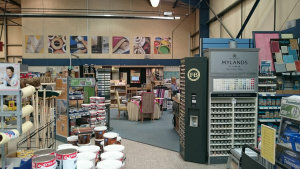 We’ve been at this site for 20 years, and offering decorating supplies in Swindon for more than 30. 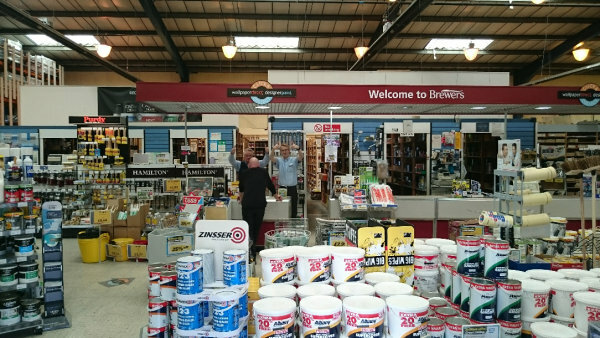 As well as an extensive range of trade and designer paints, lots of wallpaper pattern books, fabrics and decorating accessories and equipment, we offer expertise in protective coatings, which means we stock and can source and advise on all sorts of specialist paints and applications. We also provide a local delivery service. 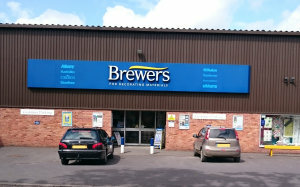 Our Swindon branch is handily located just off the B4289 Great Western Way. We’re on Wyndham Road on the Hawksworth Trading Estate, not far from the Oasis Leisure Centre. There’s lots of customer parking and the store is completely accessible for our disabled customers, as well as offering a kids’ area for those with children. Westbound head towards Swindon college/ Outlet Village on B4289 Great Western Way at roundabout for College / North Star continue over roundabout until you come to traffic lights , take left hand lane sign posted Hawksworth Trade Estate and turn left into estate, Brewers immediately on right , sign can be seen from main road. Eastbound from motorway follow signs for Outlet Village on Great Western Way (B4289) turn left under Railway Bridge the take 2nd exit continuing on Great Western Way , see traffic lights 100yds ahead and signage for Hawksworth Trade Estate , get in right hand lane and turn right. Brewers on right.